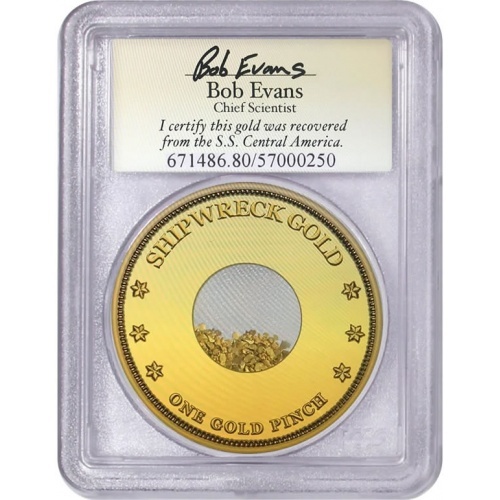 Certified in PCGS holders as recovered from the 1857 shipwreck by Chief Scientist Bob Evans on the holder label. "Pinch of Gold" was a unit of money used in commerce like in saloons to buy drinks. 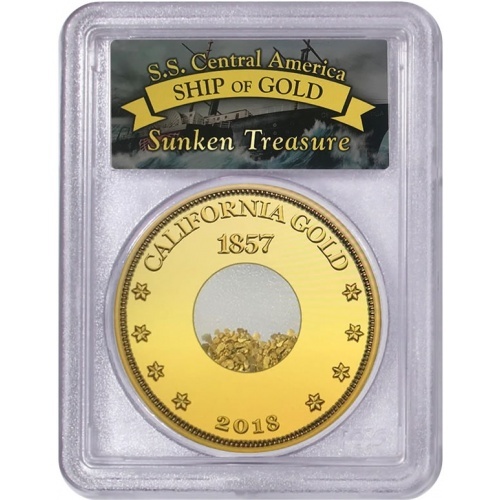 Gold pinch approximates the gold value of private mint 50¢ California fractional gold coins that were in use in 1857. Genuine California gold rush gold dust is rare as it was typically melted for ingot or coin production. Gold dust was discovered in hand-sewn sacks, known as pokes, in a SS Central America safe.